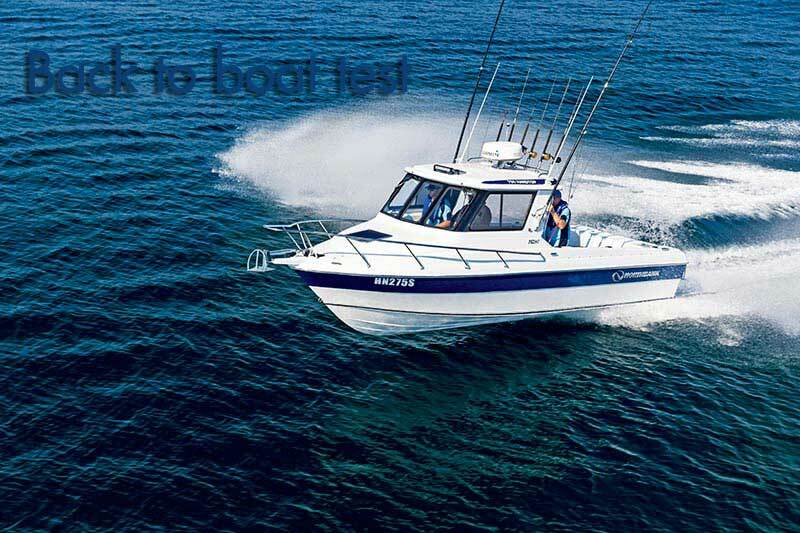 Peruse images of the Northbank 750HT, a contender in the Fibreglass Fishing Boats category at the Australia's Greatest Boats 2016 test. The Northbank 750HT (Hardtop) came to Australia's Greatest Boats 2016 as one of five contenders in the fibreglass fishing boats category. Built in South Australia by Northbank Fibreglass Boats, the 750HT can well be described as the "Good looking Aussie". It has rugged good looks combined with a tough, honest integrity, enormous ability, a willing attitude and outstanding dependability. Just the sort of mate you need when the going gets rough. The Northbank 750HT showed its credentials as a big offshore warrior built from long experience for prolonged excursions deep into the extremes of our unforgiving Southern Ocean. She has the ability to conquer the rough to provide a very safe and ultimately seaworthy platform for chasing our apex pelagics, or maybe deep-lining for those ooglies of the deep.